Not many footballers in the world have the privilege of giving back to the society that brought them firm, prestige, honours and Wealth despite going through the hard labour of becoming a real star. Their journey to the pinnacle of football started with a step of courage, sheer determination, focus, perseverance and a target for goals in order to overcome their challenges in life. Besides, it’s only a few African footballers who are privilege to play at the top level of football in Europe and donning their country’s national colours at the international level. Like the saying that nothing good comes easy, an adage that have propelled some of these young African footballers who regardless of their background, battle tooth and nail to survive the cold bit in Europe and develop their skills to the highest minimum. Few of them that started the race fell by the way side while the lucky ones enjoyed from the abundance of a successful football career in their respective clubs in Europe and the world. It is on this background that Soccernet.com.ng takes a look at a list of footballers past and present who have given back to their society. Regarded as one of the best strikers in Africa and the world at large, Didier Drogba is the real hero for his own Country Ivory Coast not just in goal scoring but also in alleviating the plight of his people in Ivory Coast. 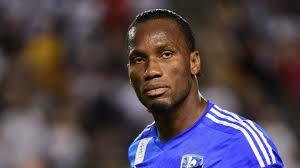 The Chelsea legend has build hospitals and orphanages for his nation. He also named as Times magazine’s top 100 most influential people in the world. 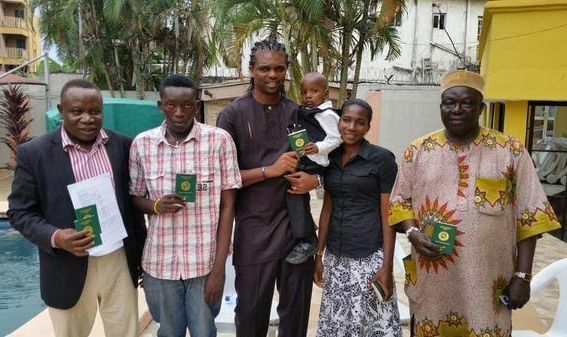 One of Africa’s most decorated players, former Ajax and Arsenal striker, Kanu Nwankwo’s fairytale story could easily have been different after Italian doctors diagnosed him with a heart defect while at Inter Milan. Arguably the best and most decorated African player, Samuel Eto’O ruled the European football for years. Alongside on the pitch, the ex Barcelona player is also a class off the pitch. 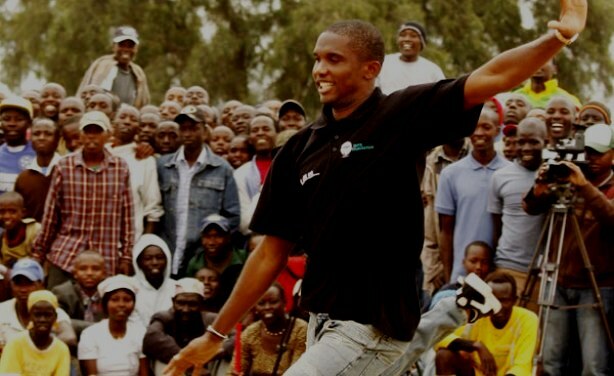 Samuel Eto’O‘s Foundation provide help to the people all across the Continent. Being the one of best paid footballer, the Cameroonian International is a part different charity initiative such as scholarships, providing quality education, health and medical facilities. Former Chelsea and AC Milan midfielder, Michael Essien who had an impressive football careers supports different charity projects, which makes one of the top charitable soccer player. His Foundation “Michael Essien Foundation” provides health care facilities, clean drinking water, public toilets and libraries in his home town. He is also involved in several charity works including the ‘Reading Goals’ to inculcate reading habits in students. Many brothers dream of playing alongside each other but only a few are lucky enough to do. The Kalou brothers have played together for Ivory Coast and are also working hand in hand to run the Foundation Kalou which was established in 2009. The brothers have reportedly donated in excess of $600,000 to the foundation. Amongst other things, the foundation has masterminded the construction of a kidney dialysis centre in Boakye, Ivory Coast. Yobo has represented Nigeria studiously at various levels since 1999 but more importantly, the Fenerbache defender has contributed massively to educational development in Southern Nigeria. His Joseph Yobo Charity Foundation has handed out over 300 educational scholarships to students from primary to tertiary levels and has also established a football academy that he hopes will, one day, produce the next Joseph Yobo. The Togolese striker has a foundation of his own, that contributes to building infrastructure projects in Africa. An example of the type of charitable work he is doing is the launching of two water projects in the twin cities of Hamile and Koro in Ghana, or other smaller infrastructure projects in his homeland. The Super Eagles and Portsmouth forward has launched the John Utaka Foundation to empower Nigerian youths at the grassroots level. He would be providing scholarships with the help of the Central Bank of Nigeria. “I believe that giving back to the society is very essential because I was in the system before I travelled abroad where I started playing my professional football,” he recalled when unveiling the foundation.